"Latest technology thermal printing, with 6 inch print speed, USB 2.0 and ethernet as standard." 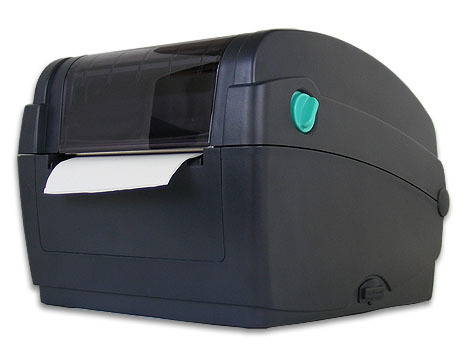 Compact Thermal Transfer/Direct Thermal printer for self-adhesive labels, non-adhesive tags, or continuous paper strip. Tear-off. Internal label roll or external label supply. Black Mark Sensor. Media Diameter Max. 40 mm (1.57") OD Standard Zebra and Intermec size ribbon. Allows for Jewelry Dumbell and Barbell labels. The printer comes with all included: software, drivers, cables, ribbon, labels, a handy QuickGuide to facilitate getting started, and a CD with Windows and Apple Macintosh OSX (5 user license) driver and documentation.